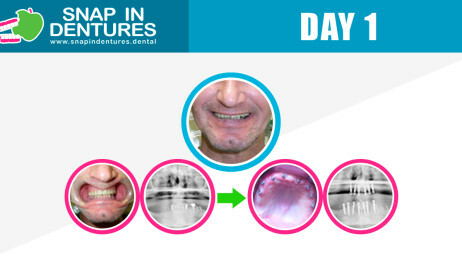 What is the process of getting Snap in Dentures? The day of your arrival to the clinic you will meet the staff and the doctors who will sit with you and talk about your case. You will get a clinical evaluation with a digital panoramic x-ray that our dentists will analyze to make sure everything is in order. In the same day you will get the rest of your teeth extracted (if any remain) and the titanium mini-implants set in your gums. 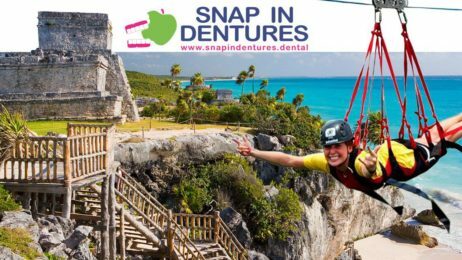 Snap in dentures: Options to go while you stay in Cancun. We want to give you information about Cancun’s location and places close to Cancun where you can spend part of your dental implant vacations while having Snap in Dentures. Health benefits of smiling – Snap in Dentures can help you with that! A good smile can do more than letting the world know that you are happy, it’s one of the things you can do to boost your health, mood and longevity! Here are some if the benefits of smiling.